Small Press Week is an event conceived of and organised by Upper Rubber Boot Books to “talk about exciting new releases, classic back-catalog titles, and what makes small press publishing so fearless, intimate, creative, and heart-warming”. This is day three where we are encouraged to shine a spotlight on all our 2016 new releases. Who would say no to a chance to highlight all the great titles we’ve released in the past nine months? Uh, not us! Let’s begin with our most recent releases, Wendy Sparrow’s amazing Servants of Fate series! The first of what we intend to be many anthologies to be released by Pen and Kink also came out this year. Rough Edges is edited by Cori Vidae and contains the work of seven incredibly talented writers. Nothing is sexier than someone who knows what they want and has the confidence go after it. 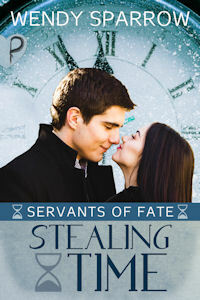 This anthology is crammed full of hot romances featuring those kinds of rough-around-the-edges alpha personalities–stories about the kind of men and women who ride horses during the day and their partners at night, who speak few words but mean every one of them, and who would never break their own personal code of honor. We're talking about cowboys and cowgirls. 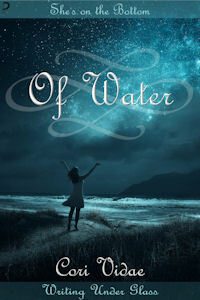 This anthology contains seven romances with a Western theme that run the gamut from sweet to sizzling. Last, but certainly not least, we have a handful of titles by Cori Vidae. Since Cori runs Pen and Kink these are actually self-published titles and are somewhat separate from the work we publish by other people. Separate, but equal. As we said in yesterday’s post–we’re nontraditional, but it works. When a fairy happens across a human in the heart of the forest she decides to have a little fun with him. 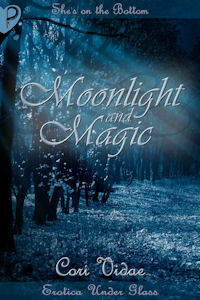 The resulting night is one of moonlight and magic that neither of them will soon forget.